Most breeders have the studs as the focus of their breeding stock program. We focus on both dam and stud with equal importance as can be seen by the superior quality of bloodlines and accomplishment of both our dams and studs. Our dams and sires are imported from Eastern and Western Europe with proven accomplished working lines in personal protection, patrol, detection, and tracking. We are dedicated to maintaining the integrity of the breed ensuring compact, muscled size for athletic ability, strong nerves, balanced drives, health, courage and intelligence. 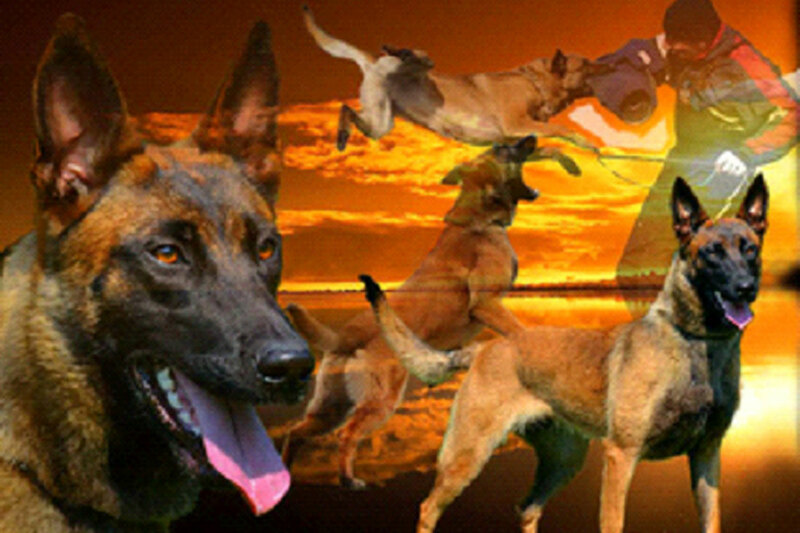 View studs and dams that have been retired and represent the superior breed characteristics and worldwide demand for Ruidoso Malinois dogs. Ruidoso Malinois is committed to the breeding, raising and training of exceptional Belgian Malinois as personal protection dogs, police K9's, and family companions. Puppies are also available for sale.